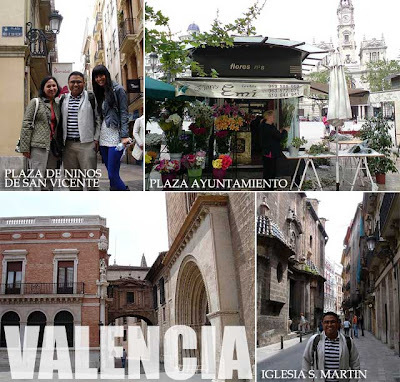 The day after we arrived in Valencia, we went straight to the old city for a stroll. The city has conveniently marked important places of interest in the maps they give out such as churches and other religious structures (there were just so many of them that I felt sad we lost our own Intramuros during WWII), government and other civic structures, museums and parks. We took the Metro to the Colon station in Valencia viejo. And from there, made our way around the old district. This is a wonderful collection of built heritage from various periods since the city was founded in 157 B.C. 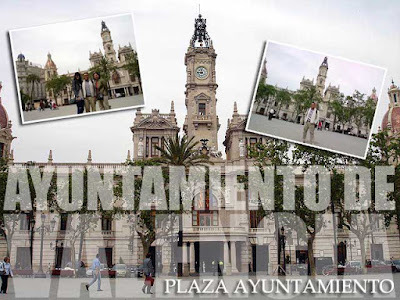 Our first stop was the Ayuntamiento de Valencia (city hall) and the grand plaza in front of it. While walking, we passed by the Iglesia de San Martin where Mass was being said. So we stayed. A few meters down the road is the towering belfry of Sta. Catalina and its Medieval church. In Plaza Sta. Catalina, there is a popular horchatería. Horchata (or orxata in Valencian), is a sweet drink made of tigernuts or chufas. From Sta. 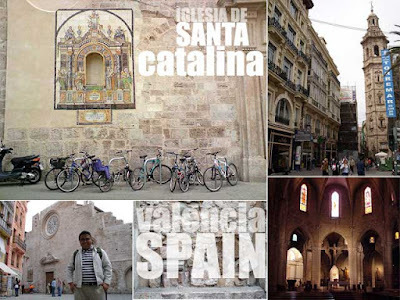 Catalina, we walked towards Plaza de la Reina and the Catedral de Valencia. For access to most of the Cathedral, you have to pay the 4€ entrance ticket. We actually asked if we can go inside just to pray. But they said we could only stay in a small area by the door designated for that. I guess it's true then what people have been saying that churches in Europe have become museums unlike those in the Philippines and much of Latin America which are alive as places of worship. 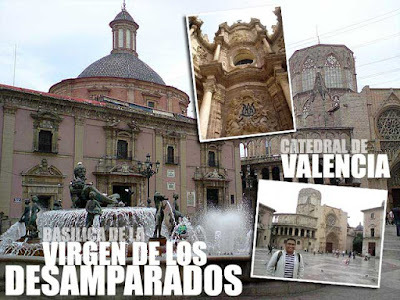 Behind the Cathedral is the Basilica de la Virgen de los Desamparados. I'm quite excited since the fiesta of the Virgen de los Desamparados is on the second Sunday of May and we'll be here to witness it. We went back to school to meet up with the rest of the group and were back in Valencia viejo in the afternoon. 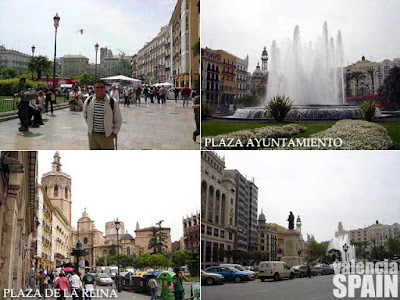 There are just so many significant structures in old Valencia so I'll write more about them in the next few days. i loooveeee your blog! 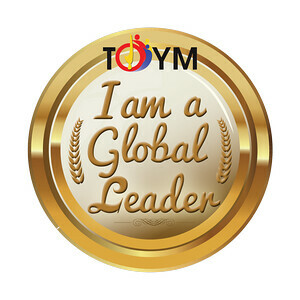 esp for a wanderlust like me..haha:P mind if i link you? Win two round-trip SEAIR tickets to Batanes!